1 year if appropriate storage provided (=10°-25°C, relative air humidity of max. 60%) in the unopened original container. Protect from frost! The ground should be smooth and absolutely dry. Cover surrounding area carefully to protect it from paint splatters. 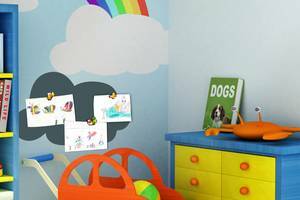 Completely remove wallpapers, which do not perfectly adhere to the wall. Extremely absorbent surfaces should be pretreated with a dispersion primer. To improve adherence, smooth, lacquered surfaces (e.g. doors) should be sanded before. 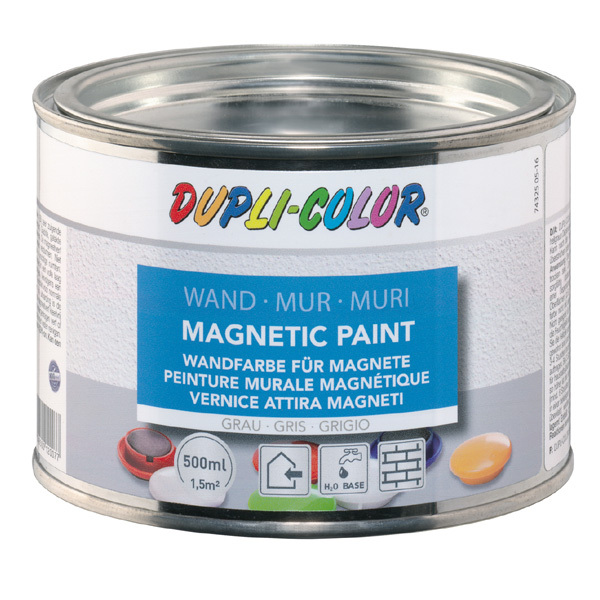 Magnetic Paint is not suitable for outdoor applications. Do not use on objects which are exposed to humidity. Stir up well before application. This is in order to spread the metal pigments in the paint evenly. 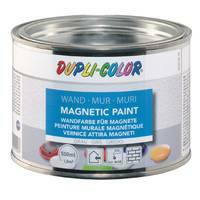 Do not mix the Magnetic Paint with any other paint or with water. Let the first coat dry for 3 – 4 hours. To increase the magnetic effect, the surface can be painted in several coats, or use our super magnets. Order number see last page.